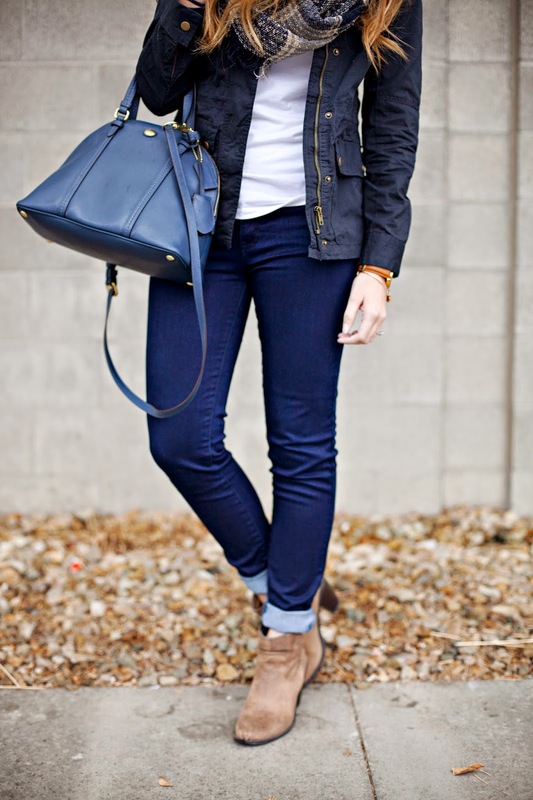 If you can't already tell-I'm obsessed with navy ;) And today I'm linking up over on The Fashion Canvas and Walking in Memphis in High Heels for the trend spin linkup! It's all about scarves (another thing that I'm obsessed with)! When I saw this jacket on Pink Blush, I knew that I needed it. I'm so glad I got it because it's light weight, yet it still keeps me warm on those chillier days. We finally got snow here in Utah, and I was glad that it came on Christmas, but now I'm ready for those warmer days again! Luckily this jacket can be layered with sweaters and scarves so you can still wear it this winter. And can you believe it's already 2015?! I feel like 2014 flew by in the blink of an eye and now it's already January 6th. I haven't even set goals for this new year for myself. I feel like I just got my life back to normal after having family here for 10 days. I haven't even taken down my Christmas decorations (but I'm really not worried about that one because I would keep them up all year if I could). I have set some goals for this little blog of ours, and I'm SO excited to get those going. And one more little tid bit of info. 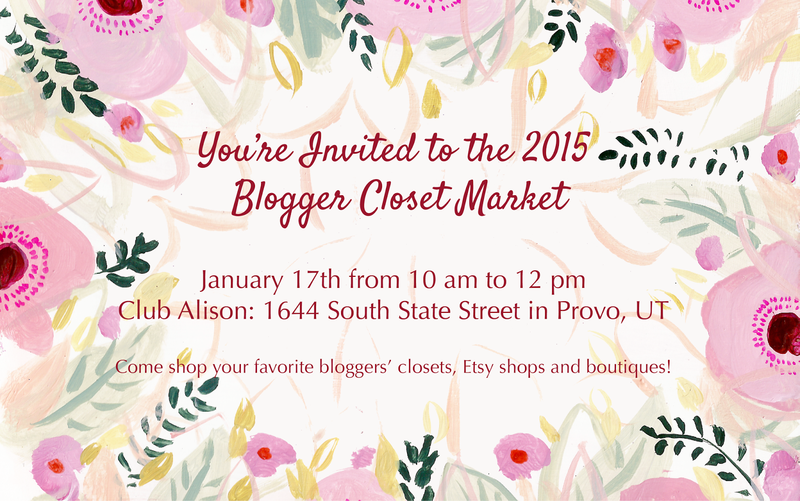 All of you lovely Utah readers need to keep January 17th open because we are hosting a blogger closet sale! We have teamed up with other local bloggers and shops so you can shop new/gently used clothing. It's going to be a party-and we would love to meet you. The event will be held at Club Alison in Provo. Check out the invite below for the nitty gritty details. See you there! Love this!! I am pretty sure that jacket needs to be added to my closet!